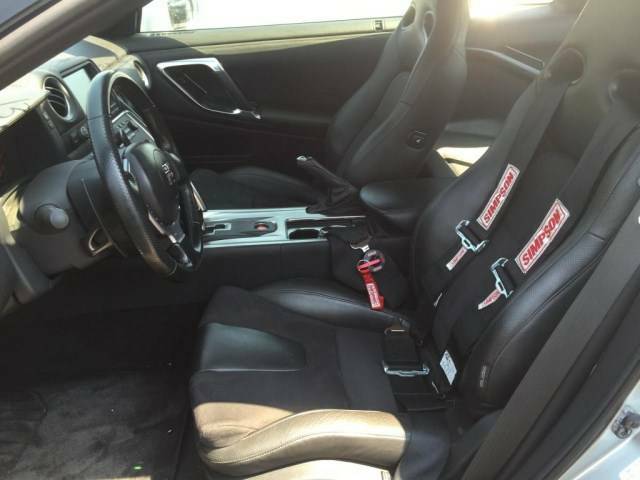 I purchased this INSANE car from the US Marshals in CA. I had another thread announcing its coming. Since then I have had it shipped here to WI to visually confirm its condition, which is very very nice. Interior near new. Exterior has a few buffable scratches on it. Also a few scuffs on the lower valances, but not bad. Mechanically, I took it to Boostin Performance in Hoffman Estates, IL. Compression tested at 145 across the board, and a leak down test reported just under 8%. There was some coolant in the oil (needs head gasket). 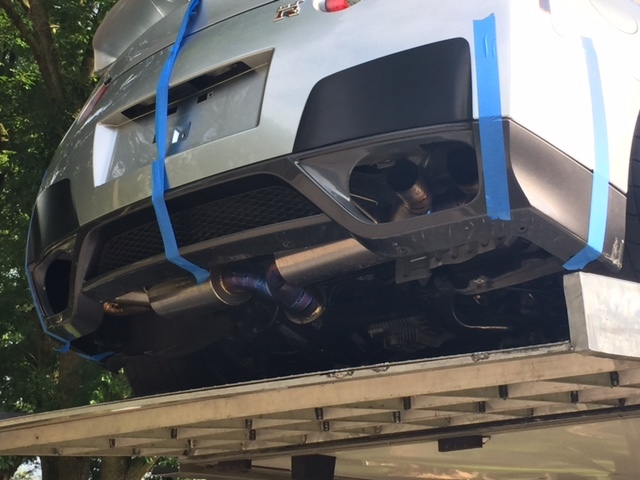 The Titek Titanium 102mm exhaust is incomplete. The Y-Pipe is present and in excellent shape. The mid/center pipe is missing. The muffler section is present, but has a bend on the passenger side section. The exhaust tips are missing. Their inspection of the transmission reported no findings. 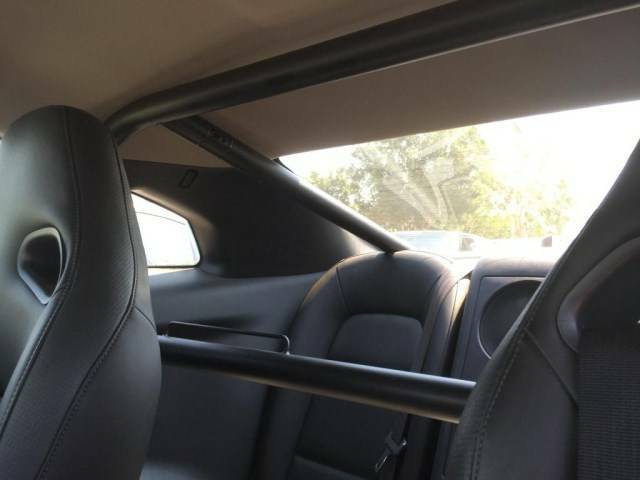 The car is missing all of the under body diffuser panels in the rear. There are 2 fasteners missing on the drivers side of the rear bumper which attach it to the body, not damaged, just missing. The valance covering the battery under the hood is missing its fasteners. The battery is a brand new OEM. 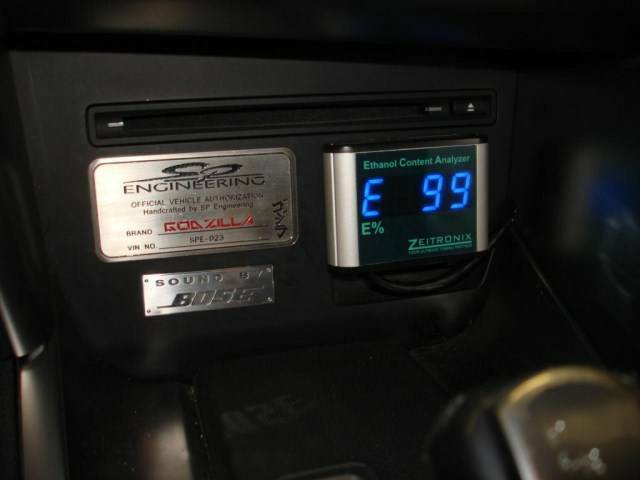 The Syvecs Engine Management System is missing an I/O Expander ($1100). 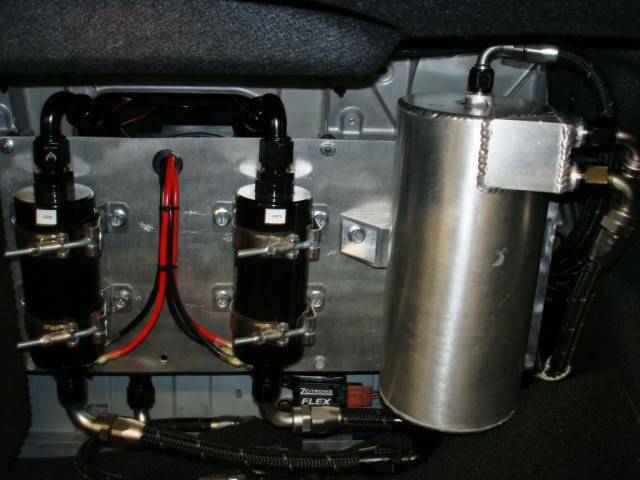 The system/car was determined functional by using another Syvecs unit from a donor car. The brakes and tires passed inspection. No other recommendations were made. 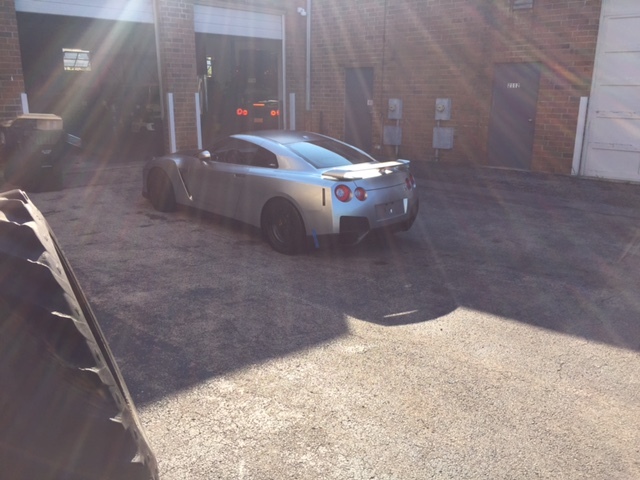 The staff commented on the car as being "extremely built!" I did find some pull tickets in the sunglasses holder from TX2K15. I will post some pictures when I get home. I will not be the end user of this car, so I feel it necessary to disclose the current condition and offer it for sale at this juncture. 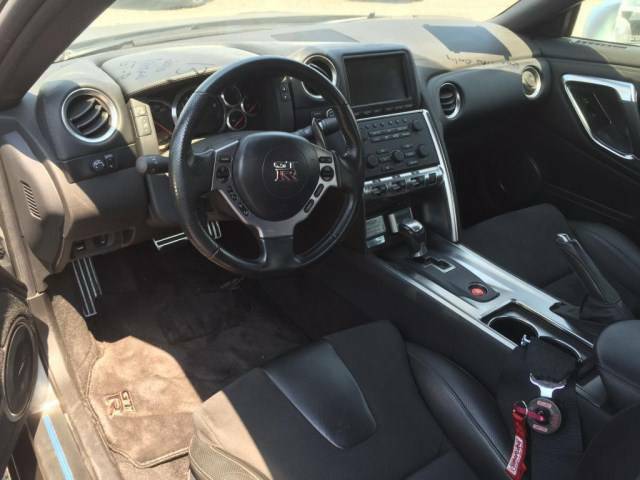 I have reduced it to $95k as is which I am told "is a steal" for someone looking for this built of a GTR. 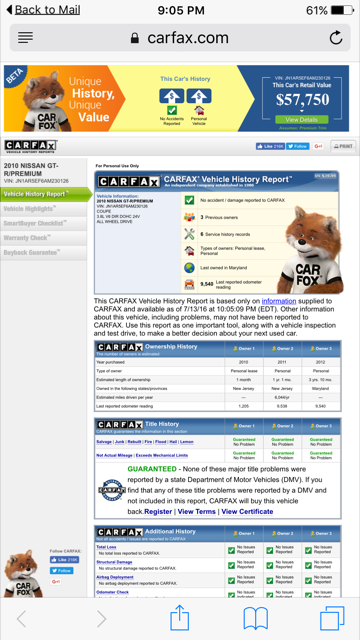 I have attached a few pictures, one includes a carfax. I have done all the DMV work, it is free from liens, brands or otherwise. It is titled in my name. 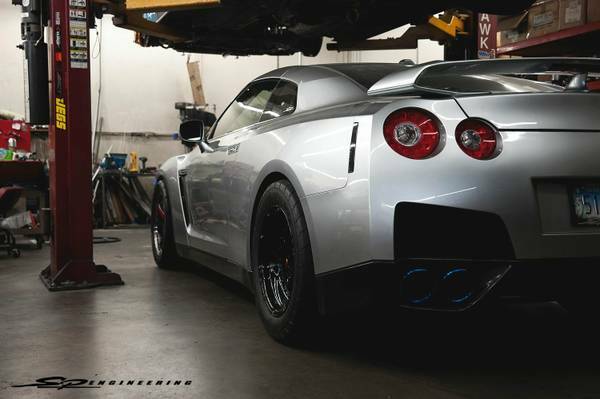 In addition to the Godzilla spec below, it also has a Syvecs S8 ECU, roll cage, T1 Brake Boost Switch, and Simpson drivers harness. Edited by GranberryGodzilla4Sale, 09 August 2016 - 11:24 AM. Seems like a sweet deal if anyone wants Cranberrys old car. Definitely priced it to sell !! GTX3582R built and tuned by STM, AMS 4.1, Omega billet crank, Alpha Cams, STM DP, MP, 4 STM Titanium custom exhaust, STM Race FMIC 22x18x4.5, full 3" piping, ID 2000, Sheptrans OneK drop gears, DS axles, E85, Advan GT 10/12 285/315 R888 / MT ET 18x10/12 TE37 Saga MT ET SS 275/245. 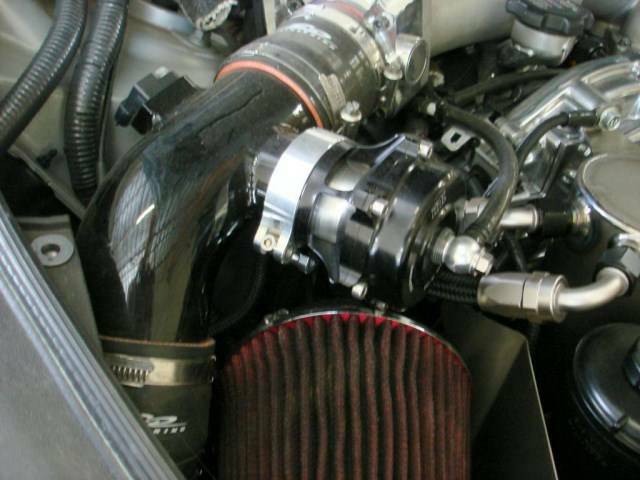 Heartbreaker Mustang 1186 E70 low boost. 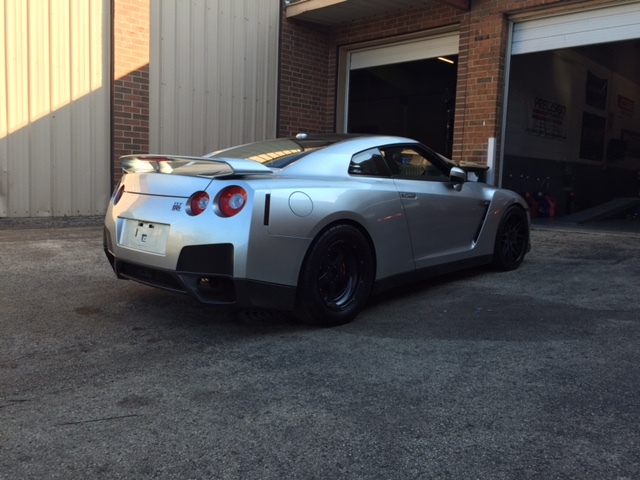 Dynojet 1350 +/- 60-130 3.5 seconds. 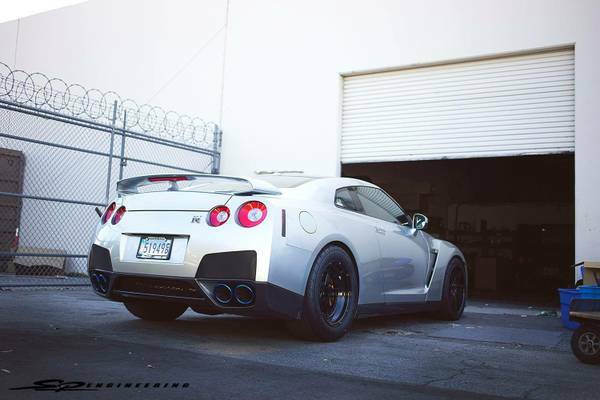 100-150 3.4 seconds. US Marshalls? What is the story behind this? Search William Granberry and Google will fill you in. Certainly no fault of the car. The previous owner just made a poor career choice. if only i wasn't buying a house. Here is the link to his other thread, with some details. LIke Knot said, search his name. You'll see the story. 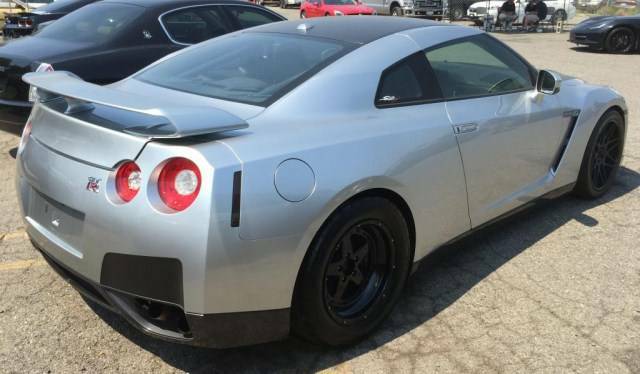 For one of the fastest GTR's, this is a great price. Someone will get a hell of a deal. Too many questions about the condition of this car. I don't see it being worth that. How much did you buy it for? Couldn't have been anywhere near that price at the auction, not that you can't get that for it. Just curious. I know if you found a $100 bill it is worth $100 still. So doesn't matter what you paid. I am not a fan of sharing what I paid for things, whether its a shirt, a house, or a car, just not my style I guess. But as I am sure you know, there are always things like, auction fees, taxes, registration, shipping, shop inspection fees, etc that usually get forgotten. The more I learn about this car, and the amount of technology and money put in to it (close to $200k I am told) the more amazed I am. I'm sorry but you stated the engine is missing the electronics, all the under trays, some exhaust parts and the motor has antifreeze in the oil. And you want 100+k for a 2010. WOW! GLWS. 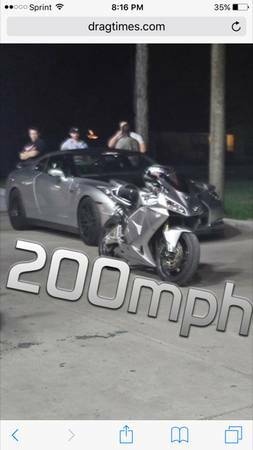 There is also a history of this car and I think the issue you are going to have is that it was always pushing the limits of a street driven GTR so it routinely broke things. Not to say at 1300 it won't break things but it did at the ragged limits. Hell not a fault of this car at all and I still think it's a steal for the price. The real issue is going to be, what's the current shape of the car? 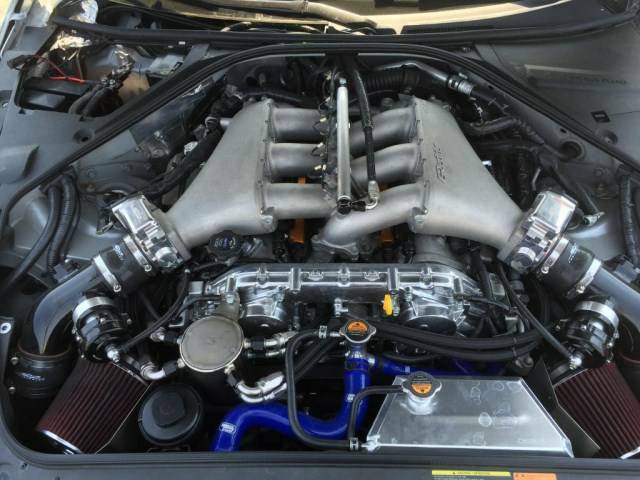 Without tearing the motor down, turbos and transmission, think someone is rolling the dice. Just wanted to make you aware of that. IMO the guys with the cash to go this fast to begin with won't buy Will's old car (I could be wrong) and the ones that don't won't have the funds to pay for the what ifs, i.e. transmission is bad and its $40k. Good luck and you'd probably get more for it returning it to stock and parting out the bigger parts (assuming they are all in good shape). Either way, best of luck. It's a cool car and a pretty closed community for the guys that go fast. Edited by droptopp, 07 August 2016 - 10:44 AM. How does a car simultaneously have normal leakdown / compression and a blown head gasket (coolant in oil)? Seems fishy. Not intentionally fishy - that's what I was told by the shop... Raised questions with me as well. We have more to discuss for sure. I will listen to a realistic offer too, just PM me and be serious, because I just may take it!! 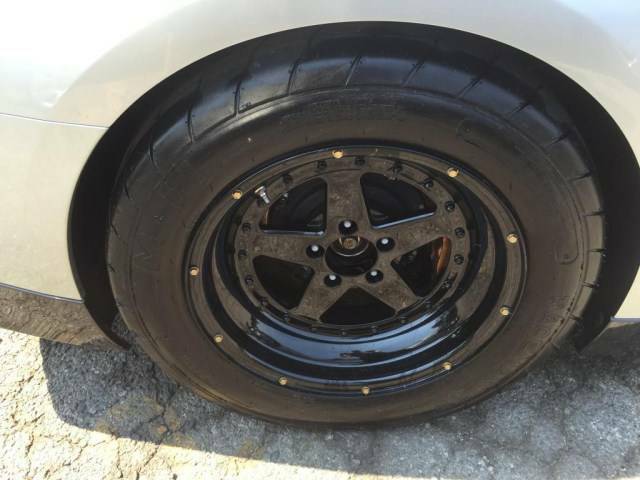 I don't think this seller could be more honest with the condition of the car, as is. We put a camera/scope down into every cylinder. All of the cylinders looked normal, expect for #2. The cylinder walls on #2 are heavily corroded, as if there's moisture in that cylinder. The car was extremely low on coolant when it came into our shop. Once we added coolant, using the camera/scope, you could literally see the water entering cylinder #2 at the seam between the head and the block (head gasket). Amazing car, but we all know he drove the hell out of this thing. He used it for what he built it for. I think that's great! I didn't build a pro mod to look at it in the garage every day. But... paying over a 100k for a car u gotta take the heads off right away is a risk in my opinion. I kno what that kit is worth. And I guess it would be an ok deal if everything turned out ok but not a gamble I'm willing to take. Edited by GranberryGodzilla4Sale, 08 August 2016 - 02:28 PM.